HomeAll postsYear 1 TrianglesWhat material would be best to make a raincoat? What material would be best to make a raincoat? In Science we are focusing on Everyday Materials. 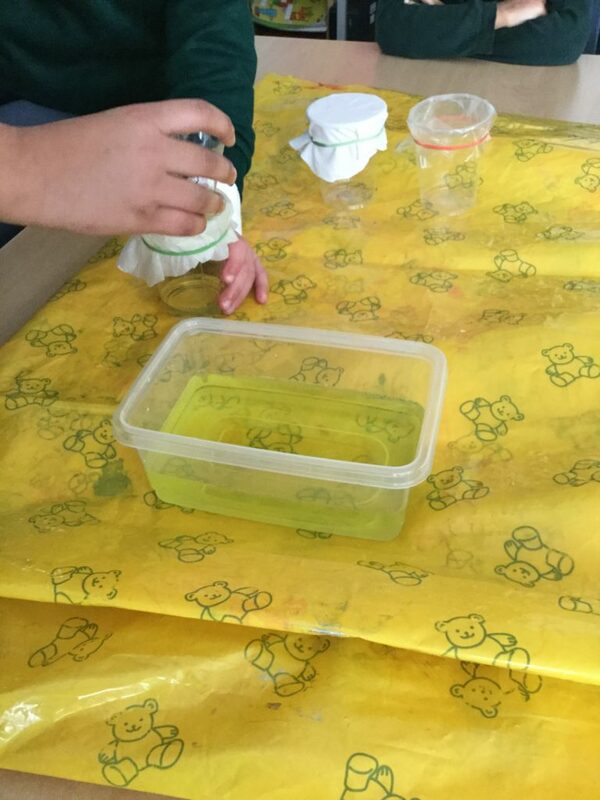 The children have been exploring different materials and their properties. 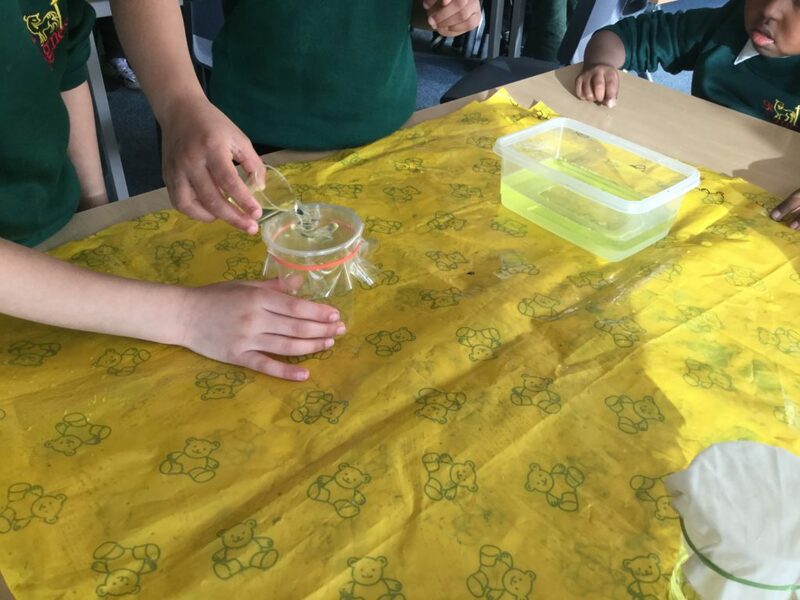 Last week the children conducted an experiment to see which material would be best to make a raincoat. They all predicted that it would be plastic and from their experiment they found that their prediction was correct. For his conclusion, Hamza wrote “Plastic is the best because it didn’t absorb the water”. 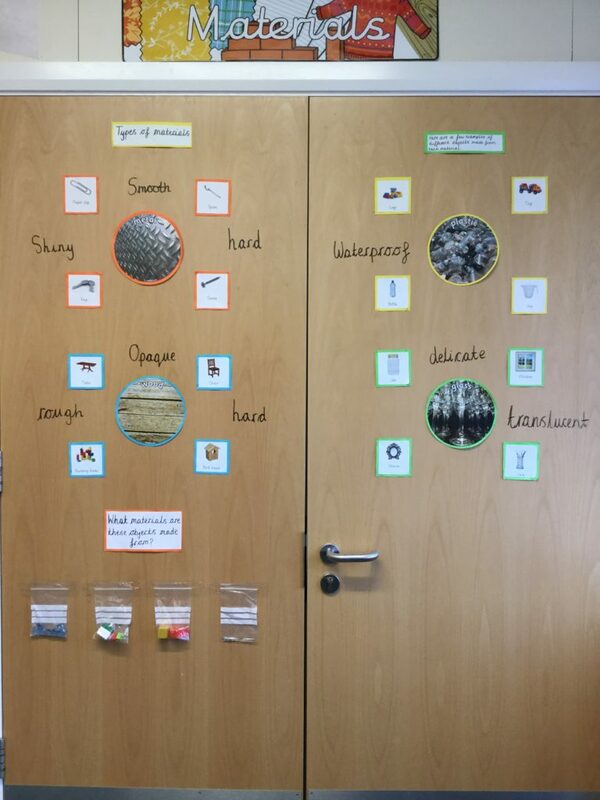 As a class, we explored metal, glass, wood and plastic and their properties. 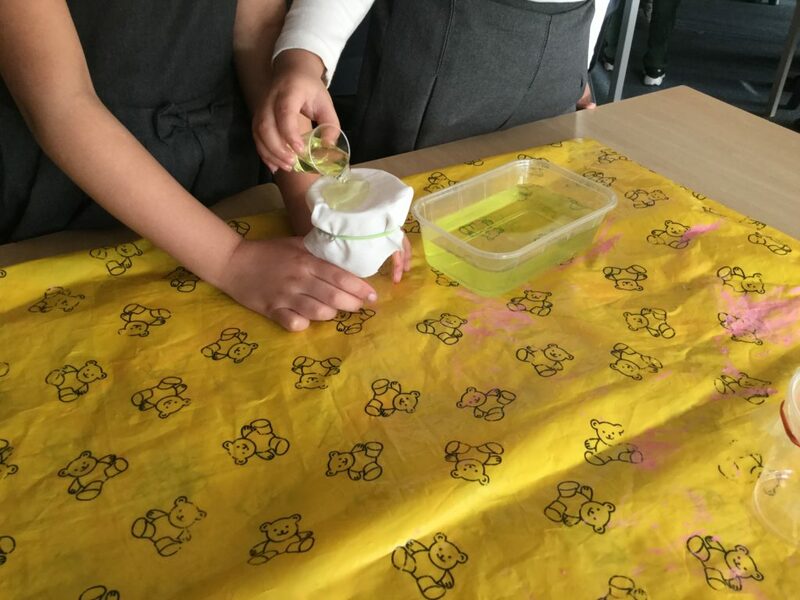 They poured the same amount of water onto fabric.